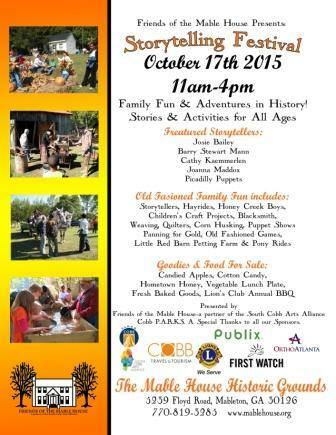 Mable House Storytelling Festival October 17! This is always one of our favorite events! A full day of family fun and adventures in history! Wonderful storytelling and plenty of activities. We will perform Cherokee Tales at 11:30 and 1:15 in the Sweet Potato House. Check out the lineup of storytellers and activities! Previous postWe’re booking shows for the school year, and performing in Morrow and Augusta! Next postHelp Spread the Joy of Puppets on Ga Gives Day!